Pamphlet included on how to use your Brain Tuners. 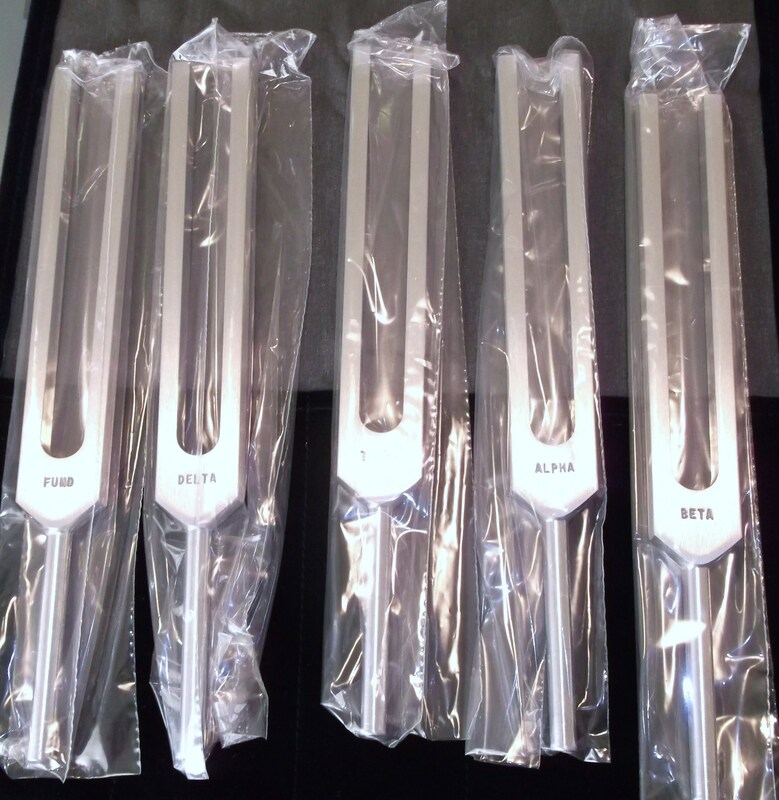 Cost of set of tuning forks in velvet case is $109.99 plus $13.99 postage inside of the United States only. Order the set of Brain Tuner Set from Biosonics. Cost of forks with wooden stand is $139.99 plus $13.99 for postage inside of the United States only. If you live outside of the U.S. please contact me for postage costs to your country.